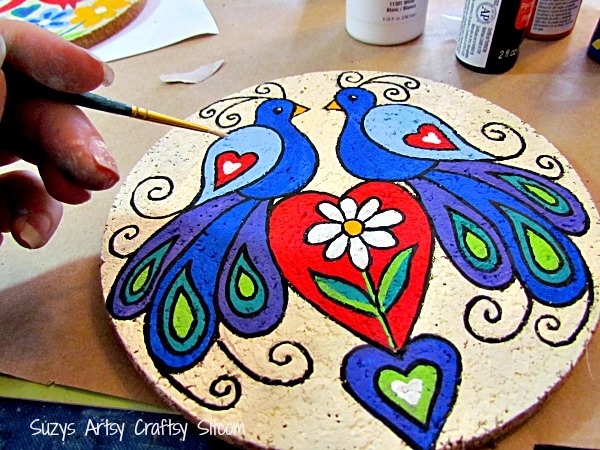 While traveling, I’m often inspired by art that I see around the country. 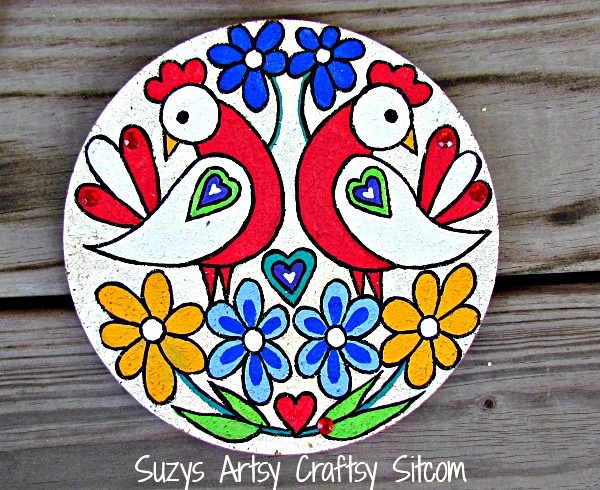 I love the beautiful artwork of the Pennsylvania Dutch, and decided to create my own version of this unique folk art. 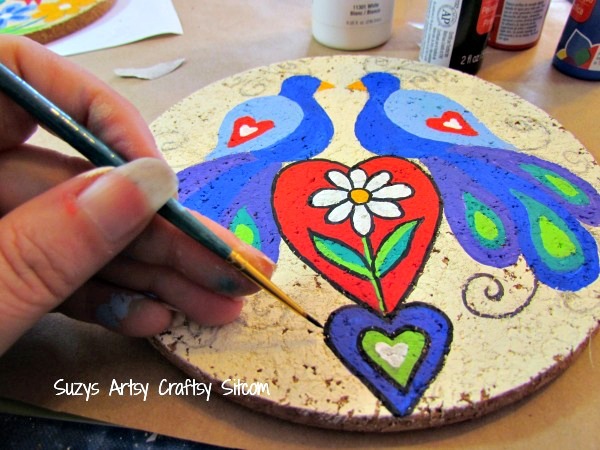 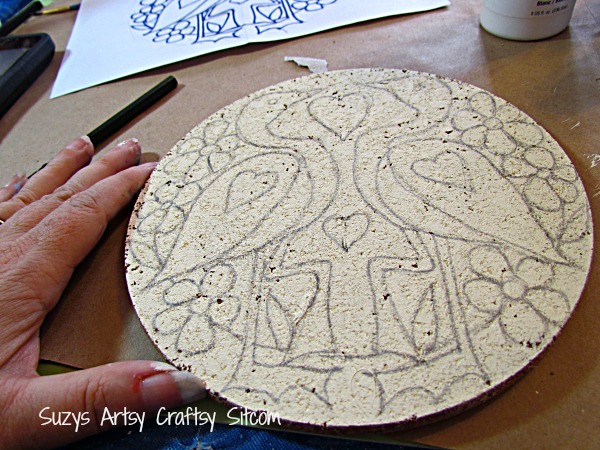 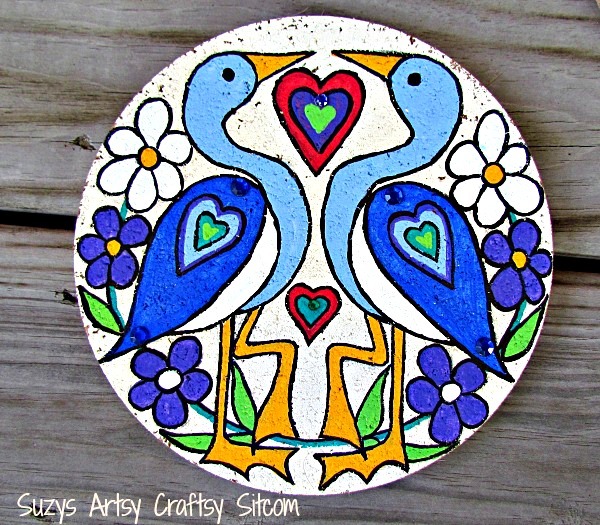 Using a set of cork trivets, I created three different love birds folk art refrigerator magnets. 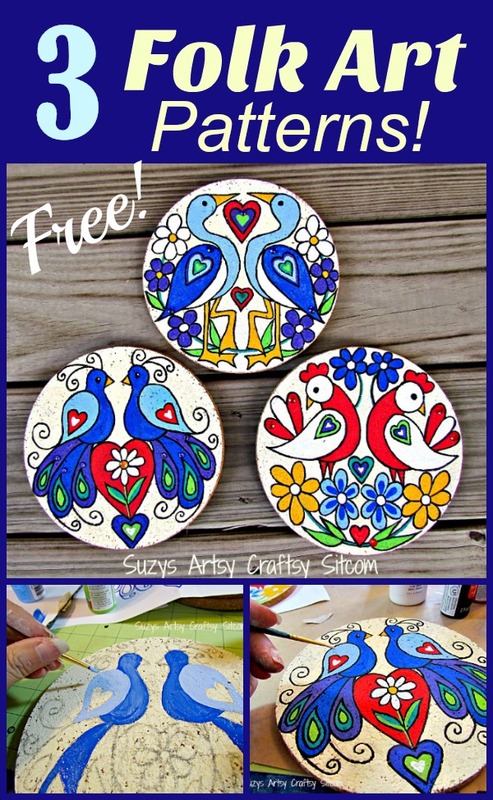 And I’ve included the free patterns for you to make them too! Shopping at the thrift store usually results in some great finds, and this time was no exception. 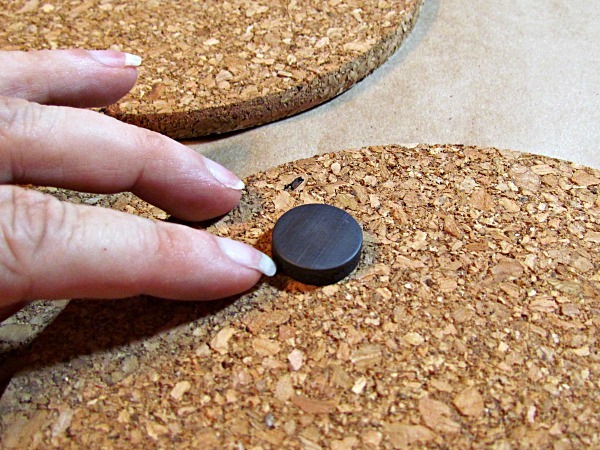 I found three cork trivets that needed a helping hand. 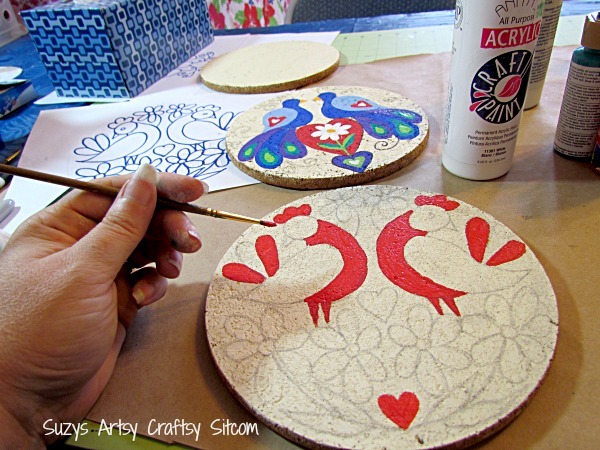 I created three patterns to fit these 7″ trivets, but you can always enlarge or decrease the size with your printer to fit whatever you are working on. 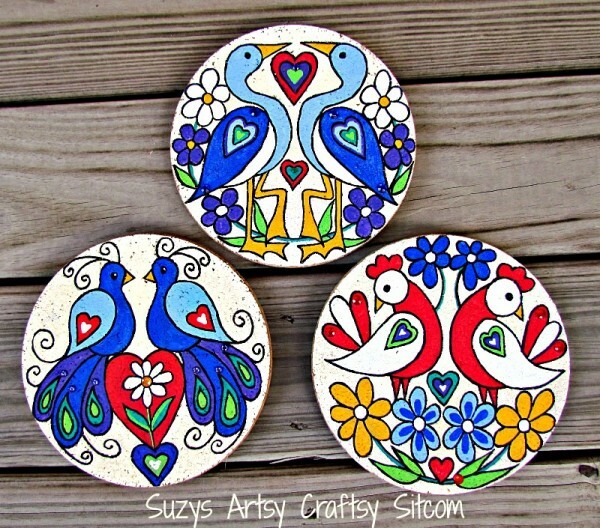 Of course I went with birds! 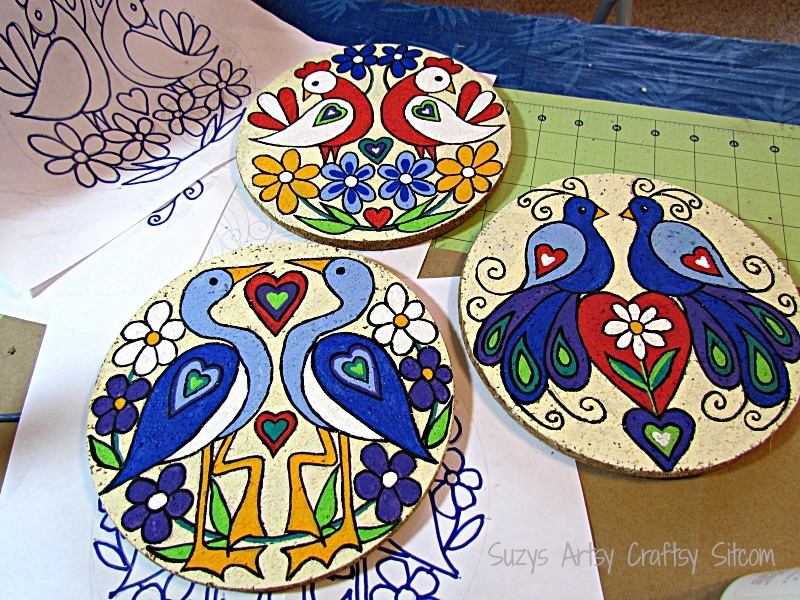 Seems I make everything into birds: Faux Stained Glass, Holiday Partridge, Two Turtle Doves, and Gossip Birds on a Wire. 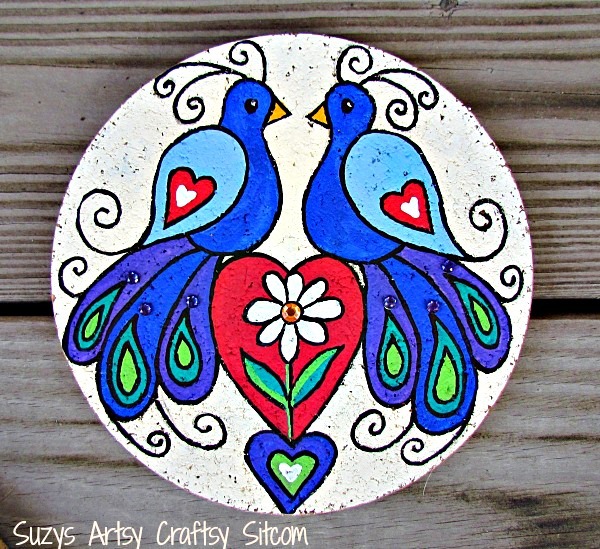 I’m obsessed! 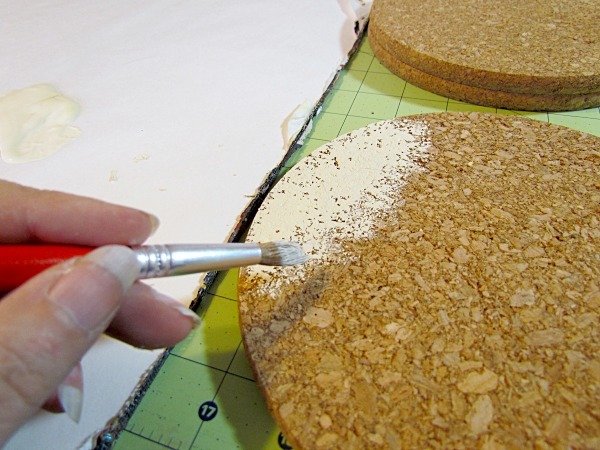 Want to know how to make them? 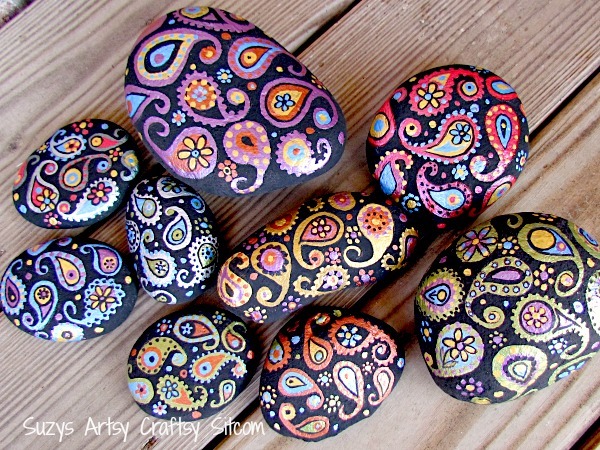 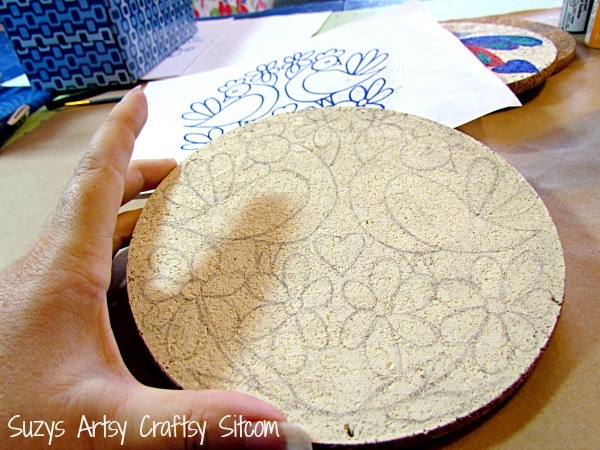 Be sure to check out my tutorial for colorful Paisley Stones! Next post: Thinking of Spring Quilt Pattern! 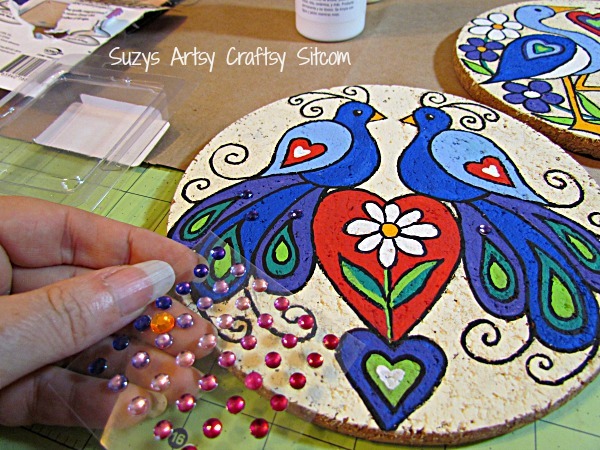 Previous post: Top 10 Craft Ideas from 2018!